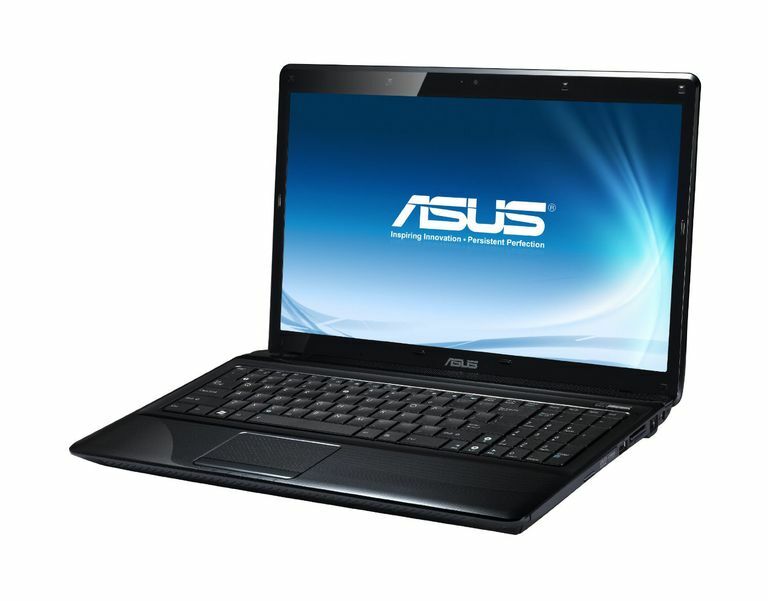 The ASUS A series of laptops were designed for performance but have been discontinued by the company in favor of the newer K series of system. If you are in the market for a low cost laptop, be sure to check out my Best Laptops Under $500 for more current offerings. ith prices as low as $550, the ASUS A52F-X3 is probably one of the best overall performance to dollar values on the market. With an Intel Core i3 processor and 4GB of memory, it should provide plenty of performance. It even features a full numeric keypad for those that require it. The system does have its quirks though including a keyboard with too much flex and a lower resolution webcam. Still, it is hard to find a similarly equipped Intel-based laptop for the same price. 15.2" x 10.2" x 1.4" @ 5.8 lbs. ASUS has made the A52F-X3 a surprisingly affordable laptop with some solid performance. With pricing as low as $550, it is probably the least expensive laptop on the market to feature an Intel Core i3 dual-core mobile processor. It even uses the i3-350M model that is a step up from the base i3-330M. This combined with 4GB of DDR3 memory give it some solid performance that should let it run just about any type of application. Storage features for the ASUS A52F-X3 are fairly typical of a budget class laptop system. It features a 320GB hard drive that spins at the 5400rpm laptop rate which gives it modest performance. It provides a decent amount of storage for applications, data, and media files for the average user. A dual layer DVD burner is included to handle the playback and recording of CDs or DVDs. Also included is a 4-in-1 card reader for the more common flash media cards. ASUS continues to use the most common display size for American consumers with the A52F by using a 15.6-inch panel. It features a typical 1366x768 resolution and the glossy coatings designed to make colors more vibrant. As with many other glossy displays, the laptop is prone to a fair amount of glare and reflections in certain lighting conditions. Driving the graphics is the Intel GMA 4500MHD found on just about every Intel-based budget laptop. This is fine for HD video or standard usage but lacks any real 3D performance for even casual 3D gaming. One fairly unique aspect of the ASUS A52F-X3 is the keyboard which has both good and bad aspects. Unlike many 15-inch laptops, ASUS has included a full keyboard along with the numeric keypad. This is very useful for those that need to do a large amount of number data input. The downside is that this does reduce the size of the right-hand shift and control keys so they are harder to press. The big problem though is that the keyboard has a bit too much flex that makes it feel too soft. Like many budget laptops, the ASUS A52F-X3 uses a smaller six cell battery pack with a 4400 mA capacity. In DVD playback testing, this yields roughly two and a half hours of running time before going into standby mode. More typical usage should stretch this out roughly another hour to three and a half. It might be possible to stretch a bit further than this with some of the other power saving software and hardware features that ASUS includes with it but this will degrade the performance somewhat. With its low price and solid feature set, it is hard to deny that the ASUS A52F-X3 is one of the better overall values on the market. It does have its quirks such as the soft keyboard and a lower resolution webcam but for some, these won't be much of an issue. Is the ASUS X54C-RB93 a Good Laptop For its Price?